Pro-Line Interco TSL SX Super Swamper 3.8″ Tires « Big Squid RC – RC Car and Truck News, Reviews, Videos, and More! 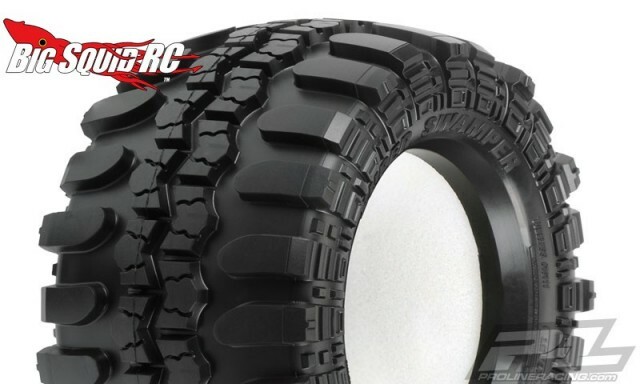 Pro-Line have created Interco TSL SX Super Swamper 3.8″ monster truck tires to give your truck more traction with a great scale look. The 3.8″ Super Swampers are an officially licensed product with great attention to detail to give them an authentic full scale look. These are said to give your truck extra side bite in the corners, while still providing excellent forward traction when you pound the gas. The part number is #10111-00, they are street priced at $34 per pair, and Here Is The Link to more information over on the official Pro-Line website. Click Right Here to find more Pro-Line news right here on BigSquidRC.